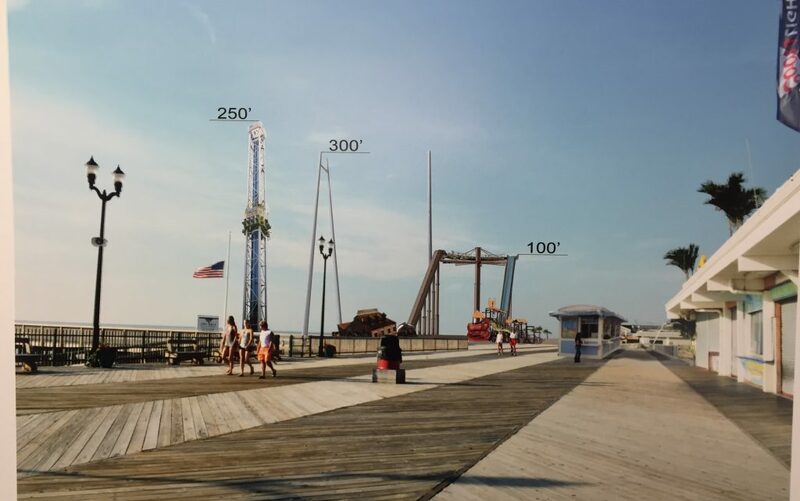 The Seaside Park Borough Council on Thursday changed the maximum height of rides on the future FunTown Pier site, doubling it to 100 feet. The owners of the property wanted higher, and warn that they might not be able to rebuild under that restriction. More than three years after it was destroyed by fire, the future of the rides in Seaside Park is still in question. As the result of multiple meetings between the council, planning board, and FunTown Pier, some decisions were made by the governing body. The most important decision was to increase the height of rides to 100 feet. Previously, it had been 50 feet. This number came from the planning board researching the height of rides at similar locations throughout the state, said Mike Giuliano, vice chair of the planning and zoning board. The consensus was that 100 feet was comparable to other locations and “was more than enough.” He noted that the highest rides on FunTown Pier were on the Seaside Heights side of the boardwalk. Stephan Leone, an attorney representing the owner, Major Boardwalk Trust, said his client wanted the height limit increased. He urged the council to do one of two things: either change the zoning on the spot, overriding the planning board’s recommendation, and increasing the height to as much as 300 feet, or provide some time for his client to show proof that higher rides would not impact the quality of life. It is true that the higher rides, like the Tower of Fear, were on the Seaside Heights side of the boardwalk, Leone said. Unfortunately, Seaside Heights will not be rebuilding that pier. So, if FunTown Pier wants rides, they will only be on the Seaside Park side of the boardwalk. The Heights portion, with the higher rides, amounted to more than 50 percent of its revenue. By limiting rides to 100 feet, the council is in effect limiting the amount of income that the pier can produce. Given the millions of dollars it will take to construct everything, there might not be a point to building rides if they can not make a profit. Meanwhile, since Casino Pier rides in Seaside Heights are allowed more height, there will be more competition driving tourist dollars to that town instead, Leone said. “This pier is the economic engine” of the borough, he added, explaining its impact on restaurants, hotels, and other amenities in the area. Councilwoman Nancy Koury said that the council had never received a site plan that would show what kinds of rides would be there. It would be unwise to approve something without knowing. 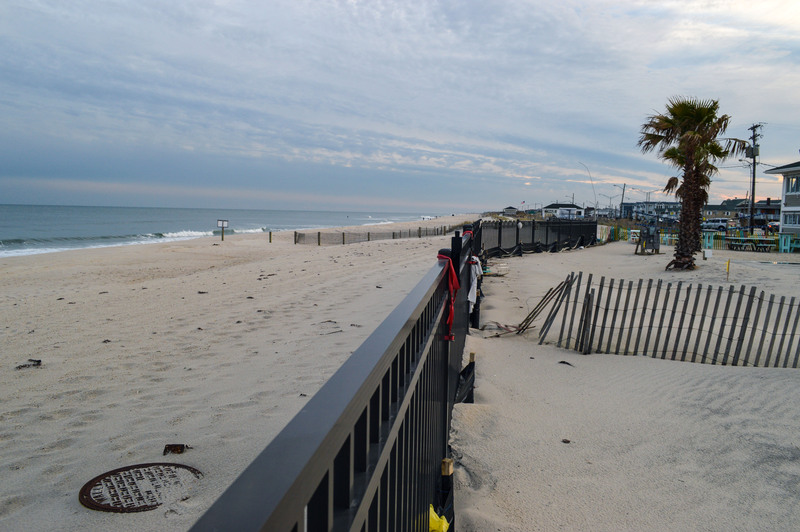 Leone said that the council received a use plan but not a site plan “because you don’t have jurisdiction over what rides are there.” However, if the council wants to discuss it, they should table the ordinance and meet with the pier’s owner. Mayor Robert Matthies said that FunTown Pier had enough time in front of the planning board making presentations before now. If there was any concrete information, it would have been known already. The representative from the planning board agreed. The council noted that there were some concessions made. For example, the owners will be able to charge beach badge fees for a commercial beach. This was something that had been done all along, however, it turned out that they were not allowed to do so according to the zoning laws. The doubling of height was an important compromise. Several residents at the meeting said that while they enjoy the rides, they did not need higher ones. Resident Linda Batcho said that FunTown Pier was great, and her family had a lot of fun there. However, “After 1 o’clock it was intrusive.” Taller rides will bring more traffic, people leaving garbage, and using her property as a bathroom. Shorter rides bring a different crowd. Councilman Fritz McHugh said that his role as a councilman is to hear both sides, the business community as well as the residents. Councilwoman Faith Ligouri said she could see issues on both sides. There is also an emotional impact to FunTown Pier not being there. People miss it. “I have nothing but fond memories of FunTown Pier, but I don’t live across the street,” she said. Rides have been there for decades. If someone buys property nearby, the noise and commotion should not be a surprise. “It’s part of our heritage and part of our culture. It saddens me that the compromise we’re trying to make is not sufficient,” she said, urging the owner to continue with constructing the pier and ask for exemptions from the planning board if they arise. All council members in attendance voted to approve the changes, which included the 100 foot height restriction. Councilman Michael Tierney was absent due to a death in the family. Outside the meeting, pier owner William Major was asked what their next course of action will be, and whether they will build rides. “We’re not sure,” he said.